Samsung’s Galaxy Note 7 was banned from U.S. airlines yesterday in an announcement made by the Federal Aviation Adminstration (FAA). Transport Canada has also made a similar announcement as well, announcing the device is to not be permitted on any airplane. If a Note 7 does makes its way onto the plane, airline staff are to instruct the passenger to power off their phone and not charge it, plus also ensure no accidental activations occur, such as alarms. The phone must be kept on the person’s body and not in the overhead compartment or seat back pocket or in carry-on baggage, for the duration of the flight, to ensure action can be taken if the device catches fire or explodes. On Air Canada flight "please make sure your Samsung galaxy note 7's are turned off". What a mess, to think I was going to buy one! 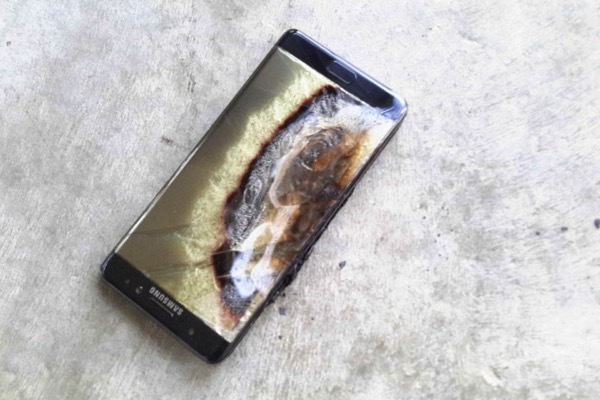 All of the billions Samsung spends on marketing has gone down the drain thanks to the failure of the Galaxy Note 7. It’ll be interesting to see if they stick to the ‘Note’ name for the next version, or come up with something entirely new.